After a long career in the medical field, Dr. Victor Acquista has turned his focus of helping and healing to writing fiction that raises awareness of social issues. 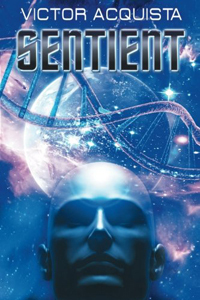 The science fiction story Sentient (Mirror Matter Press, 2016) is his debut novel. You can find Dr. Acquista at his website VictorAcquista.com. What is your elevator pitch for Sentient? Two highly evolved, telepathic species clash. One is driven by the desire to be the supreme sentient race in the galaxy—highly competitive and determined to dominate. The other is highly cooperative, united in collective consciousness, peaceful—this is our progenitor race and we are nearly annihilated. The genocide of our parent species by the Mind Warriors of T’rox leads us to establish a colony on earth, where telepathy is genetically blocked to avoid detection by T’rox. There are unintended consequences to this survival strategy. While I had published a nonfiction book and have written several short stories, a full-length novel represented a new endeavor for me. There is a gap between having a good story idea and telling that story in a compelling way. I was uncertain whether or not I could bridge that gap. Upon completion of the novel, I then had to get a publisher. This is more of a left-brain task as opposed to the creative engagement of the right brain required to spin the tale. I also chose to do this by leaving my normal work life/career in the rearview mirror. This posed some economic issues and some writing discipline challenges to say the least. Tell us about your main characters. Will those who know you recognize you in your characters? The protagonist, Anyeuros, is a musician who escaped the genocide of his home world and arrives on earth in current times. He is rather distraught by the war, violence, poverty, etc. he observes. He connects with Professor Jeremy Strickland, a brilliant, but troubled physicist who struggles with mental illness. This character has a sense of humor and is rather incorrigible. He is enrolled in an experimental drug program run by Dr. Rebecca Flores. She is a bit of a conflicted anti-heroine. The story unfolds across three settings. Modern earth (the colony) is only one. The alien world of T’rox is stagnating and their leader Ka ‘Stan recognizes the social decay. He has plans to resurrect their society with new achievements beyond conquering other species. His champion is a ruthless clan leader determined to bring glory to his outcast clan. The third setting involves the early colonists of whom there are only four women and two men. Each has a unique personality and they all struggle with separation from the collective while trying to survive on a harsh new world. There are bits and pieces of me in almost all of the characters. I am particularly fond of Nathan, Professor Strickland’s teenage neighbor. I like to think he embodies something I aspire toward. Describe the societies you created for Sentient. T’rox is an alien civilization strongly acculturated to compete as individuals, as clans, and as an entire planet. Always, they strive to be the best. In spite of having telepathic consciousness which allows sharing, they closely guard secrets and strategies in order to gain advantage over competitors. They are conquerors and kill or enslave other species. A problem occurs when you run out of new species to conquer. This hyper competitiveness turned inward, causing social stagnation and strife. Adden, the home world of our species, also has evolved to telepathic consciousness, but they share collective knowledge and feel each individual has something valuable to contribute to the collective. As a result, their society is peaceful and without social problems such as poverty, discrimination, injustice. When these societies meet, an event occurs resulting in our species intentionally blocking telepathy and shared consciousness. How this develops and is resolved over the arc of humanity’s history is the predominant plot element. What was the most difficult aspect of world building for this novel? This story had been percolating in my mind for quite a few years, so when it came down to actual writing, the world and society were essentially already built. The challenge for me came more with using examples via plot/character details that illustrate the world and social structures. In many ways, Sentient mirrors our own world and the things we struggle with. I have a background in medicine, but I have been quite intrigued with neurobiology and behavior, social and cultural aspects to development and evolution. I believe we have latent human capacities such as telepathy. I imagined what it might be like to have an entire world linked in collective consciousness, and then asked myself, “Why are we not that way?” The answer I came up with—we intentionally blocked telepathy through genetic engineering as a way to hide from destruction. What problems would likely occur and how might that play out over the course of human history? Since individuals suffering with schizophrenia may experience auditory hallucinations, I posited this represented an incomplete genetic block of telepathy (mischaracterized as mental illness). I thought it would be interesting to cast a character with schizophrenia as one of the protagonists. I had penned a couple of chapters over the years and many notes, but I really did not sit down to write the book until March, 2015. I finished a first draft by September, edited it umpteen times, and tried without success to get an agent. A small press requested the manuscript in December and we eventually moved to a signed contract. Sentient was released October 15, 2016. Do you have a favorite quote from Sentient? 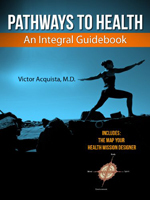 In your past life you were a physician for many years—and you published the self-help book Pathways to Health: An Integral Guidebook. How did your experience writing nonfiction affect/benefit your fiction writing? Now that you’ve written both fiction and nonfiction, do you have a preference? I think writing nonfiction requires a different sort of creativity, specifically, weaving thoughts, ideas and information about some aspect of reality and communicating this to readers. For me, writing fiction enables me to play in the vast playscape of imagination without restriction. I enjoy writing and communicating through language. I do feel fiction gives me more expressive latitude and therefore it is my current preference. 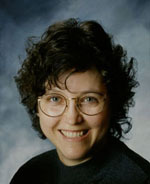 “Writing to Raise Consciousness”—whether fiction or nonfiction. I want to raise awareness of social issues and somehow help to make our lives better, both individually and collectively. Writing something to completion is just the first of three mountains I now appreciate as necessary to climb. The second is getting a publisher, which may or may not include getting an agent. The third involves aspects of marketing and promotion such that people actually purchase what you have written. Each of these requires different skills and energy. Looking back, I was particularly naïve about steps two and three. There is a learning curve to writing as a career. I feel as though I have transitioned from newbie to novice, but still have a lot to learn. I enjoy gardening, cooking, and contemplation. I have completed Serpent Rising, the first of a two-book adventure series, Saga of Venom and Flame, and am currently pitching this. I am half done with a satire, The Nihilist’s Pocket Survival Guide to Modern Society. I also am slowly gestating a fantasy novel, but do not have a working title yet. Although many genres are represented here, the common thread of incorporating social themes and issues into the characters and plots links all.